Offering friendly service and great hospitality the Comfort Inn Suites Warragul is your first choice for that overnight stopover or extend your stay to enjoy the many attractions our region has to offer. 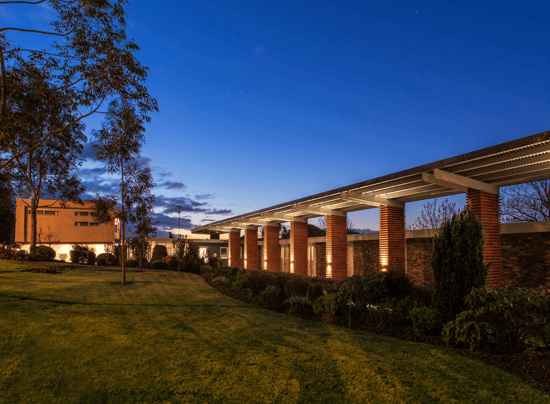 Located just one hour from Melbourne, Comfort Inn & Suites Warragul offers 22 modern architecturally designed rooms, surrounded by stunning gardens and tranquil country scenes. Experience the peace of the beautiful Gippsland country side only minutes from downtown Warragul! Our range of Apartments, Queen, King and Family rooms have been designed and furnished with guest comfort in mind. Rooms feature luxurious pillow top beds for the ultimate night’s rest, technology at your fingertips with our Smart Net TVs, USB power at bedside and desk level, and high speed, FREE Wi-Fi! Enjoy breakfast and dinner in our licensed dining area or relaxing in your room, our Queen and King rooms opening onto an outdoor patio area. A delicious continental or cooked breakfast with a choice of breads, cereals and juices are on offer daily. If on-site dining is not your style, then no problem! Comfort Inn & Suites Warragul is located within a few minutes of many restaurants and cafes many of which can charge back to your room. Whether travelling to West Gippsland for business or pleasure, our friendly helpful team at the Comfort Inn & Suites Warragul are ready to ensure you have a memorable stay! Make a reservation today for great value, in 4 star comfort with award winning customer service and care.